One of the great sorrows of being a longtime fan of The Walking Dead is that you know deep down your favorite characters’ futures are never fully decided. We’ve seen many fan-favorite characters come and go (well, mostly go), but there are a few veterans that have hung on through TWD‘s previous eight seasons. 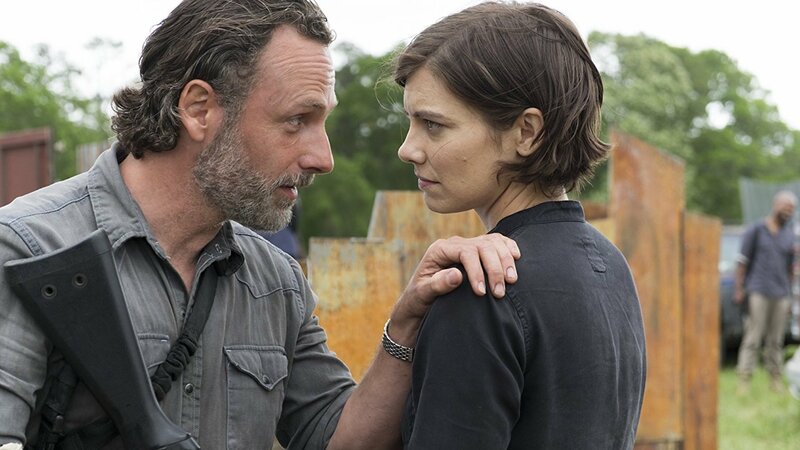 Now, we’re here to set the record straight on the latest intel we have about actors Andrew Lincoln and Lauren Cohan, who have both been at the center of theories and rumors about whether or not they are leaving TWD during or after Season 9. More: Is The Walking Dead Going to Kill Rick Next? Let’s rip off the first Band-Aid. Entertainment website Collider released an exclusive on Tuesday that it’s highly likely Lincoln is leaving once Season 9 (which will run from fall 2018 to spring 2019) wraps. It’s sad news for fans, but it’s interesting to note that we don’t really know much about when Lincoln and his TWD character, Rick Grimes, will be exiting or how that exit will happen. It totally makes sense that Lincoln would be ready to jump the TWD ship after Season 9. He’s been on this show since day one putting in the effort and man-hours; now, he’s earned a break. More than that, there’s not much keeping his character, Rick Grimes, on the show. With his son dead — a loss that will surely be dealt with first thing in Season 9 — Rick probably won’t handle it very well. He still has his daughter, Judith, but this loss could break him, which means the door is open to a ton of possibilities about how to write Rick (and Lincoln, by extension) out of the show. Collider also reports that actor Norman Reedus, who plays Daryl on TWD, could be offered a substantial raise in order to bump him up to leading-man status if and when Lincoln leaves. As logical as that sounds, that’s more up in the air, so don’t put too much stock in it just yet. Imagining a time when Lincoln will not be on our TV screens is tough, but having the double whammy of Cohan slowly easing out of the picture at the same time is also a lot to handle. Cohan won’t be leaving the show for good, but she does have one foot out the door. According to TV Line, Cohan will be splitting her time between TWD and her new show on ABC, Whiskey Cavalier. The pilot for Whiskey Cavalier is already in the bag, with filming picking up in the summer and continuing into the fall. This throws into question just how much of her TWD character, Maggie, we’ll see in Season 9. We know that she’ll appear in at least the first six episodes of the TWD Season 9A, but Whiskey Cavalier‘s shooting schedule throws into question what Season 9B looks like for her. Basically, big changes are coming for your favorite TWD actors. If you’re a die-hard fan, you may want to brace yourself.